In 1975 Kuhn publishes The Copernican Revolution, and in 1962 The Structure of Scientific Revolutions. Most commentators believe both works to be an expression of the same philosophical project. Against this interpretation, we argue that there is a lack of continuity between both books, arising from the fact that between 1957 and 1958 Kuhn comes into contact with the works of Hanson, Wittgenstein and Feyerabend, whose influence marks a break from his previous work. We also suggest that in 1957 Kuhn applies a casuistical historiography, and, in 1962, a structural historiography. We conclude that there is no relationship of continuity between Kuhn’s first two works. Profesor Adjunto de Epistemología e Historia de la Ciencia. Departamento de Epistemología, Metodología e Historia. Facultad de Información y Comunicación. Bird, A. (2000), Thomas Kuhn, Princeton-New Jersey: Princeton University Press. Cohen, F. (1994), The Scientific Revolution. An Historiographical Inquiry, Chicago: The University of Chicago Press. Conant, J. B. (1974), On Understanding Science, New Haven: Yale University Press. Feyerabend, P. (1958), “An attempt at a realistic interpretation of experience”, Proceedings of the Aristotelian Society, 58, pp. 143-170. Gattei, S. (2008), Thomas Kuhn’s ‘Linguistic Turn’ and the Legacy of Logical Empiricism, Burlington: Ashgate. Gentile, N. (2013), La tesis de la inconmensurabilidad. A 50 años de La estructura de las revoluciones científicas, Buenos Aires: Eudeba. González, W. (2004), “Las revoluciones científicas y la evolución de Thomas S. Kuhn” en: W. González (ed. ): Análisis de Thomas Kuhn: las revoluciones científicas, Madrid: Trotta, pp. 15-103. Gunnel, J. (2014), Social Inquiry After Wittgenstein and Kuhn: Leaving Everything as It Is, New York: Columbia University Press. Hanson, N. R. (1958), Patterns of Discovery, Cambridge-Mass. : Cambridge University Press. Heilbron, J. L. (1998), “Thomas Samuel Kuhn”, Isis, 89(3), pp. 505-515. Irzik, G. (2001), “Thomas S. Kuhn, The Road since Structure. Review”, Philosophy of Science, 68(4), pp. 573-575. Irzik, G. and Grünberg, T. (1998), “Whorfian variations on Kantian themes: Kuhn's linguistic turn”, Studies in History and Philosophy of Science, 9(2), Part A, pp. 207-221. Kindi, V. (1995), Kuhn and Wittgenstein: Philosophical Investigation of the Structure of Scientific Revolutions, Athens: Smili. Kuhn, T. (1957), The Copernican Revolution, Cambridge-Mass. : Harvard University Press. Scientific Tradition and Change, Chicago: The University of Chicago Press, 1977, pp. 165-177. Kuhn, T. (1962), The Structure of Scientific Revolutions, Chicago: The University of Chicago Press. 2nd edition. Kuhn, T. (1968), “The History of Science”, in: The Essential Tension. Selected Studies in Scientific Tradition and Change, Chicago: The University of Chicago Press, pp. 105-126. Kuhn, T. (1971), “The Relations Between History and History of Science”, in: The Essential Tension. Selected Studies in Scientific Tradition and Change, Chicago: The University of Chicago Press, pp. 127-161. Kuhn, T. (1977), “The Relations Between the History and the Philosophy of Science”, in: The Essential Tension. Selected Studies in Scientific Tradition and Change, Chicago: The University of Chicago Press, pp. 4-20. Kuhn, T. (1987), What are Scientific Revolutions?, Cambridge-Mass. : MIT. Spanish edition ¿Qué son las revoluciones científicas, Barcelona: Paidós, 1989. Introduction by Antonio Beltrán. Marcum, J. (2005), Thomas Kuhn’s Revolution: An Historical Philosophy Of Science, New York: Continuum. Marcum, J. (2015), “The Evolving Notion and Role of Kuhn’s Incommensurability Thesis”, in W. J. Devlin and A. Bokulich (eds. ): Kuhn’s Structure of Scientific Revolutions – 50 Years On. BSPS 311, Dordrecht: Springer, pp. 115-134. Martínez Solano, J. (2004), “El problema de la verdad en la concepción de Thomas S. Kuhn”, in: W. González (ed. 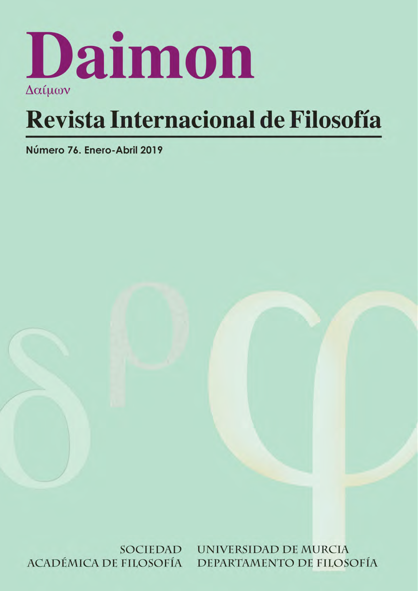 ), Análisis de Thomas Kuhn: las revoluciones científicas, Madrid: Trotta, pp. 155-174. Omodeo, P. (2016), “Kuhn’s Paradigm of Paradigms: Historical and Epistemological Coordinates of The Copernican Revolution”, in: A. Blum; K. Gavroglu; C. Joas and J. Renn (eds. ): Shifting Paradigms. Thomas S. Kuhn and the History of Science, Berlin: Max Planck Institute for the History of Science, pp. 71-104. Pacheco, P. (2011), “James B. Conant y Thomas S. Kuhn. Líneas de continuidad en el estudio histórico de la ciencia”, Metatheoria, 2(1), pp. 3-21. Rupert Hall, A. (1954), The Scientific Revolution, London: Longman. Schuster, J. (1979), “Kuhn and Lakatos and the History of Science: Kuhn and Lakatos Revisited”, The British Journal for the History of Science, 12, pp. 301-317. Swerdlow, N. (2004), “An Essay on Thomas Kuhn’s First Scientific Revolution, The Copernican Revolution”, Proceedings of the American Philosophical Society, 148(1), pp. 64-120. Westman, R. (1994), “Two Cultures or One? : A Second Look at Kuhn’s The Copernican Revolution”, Isis, 85(1), pp. 79-115.